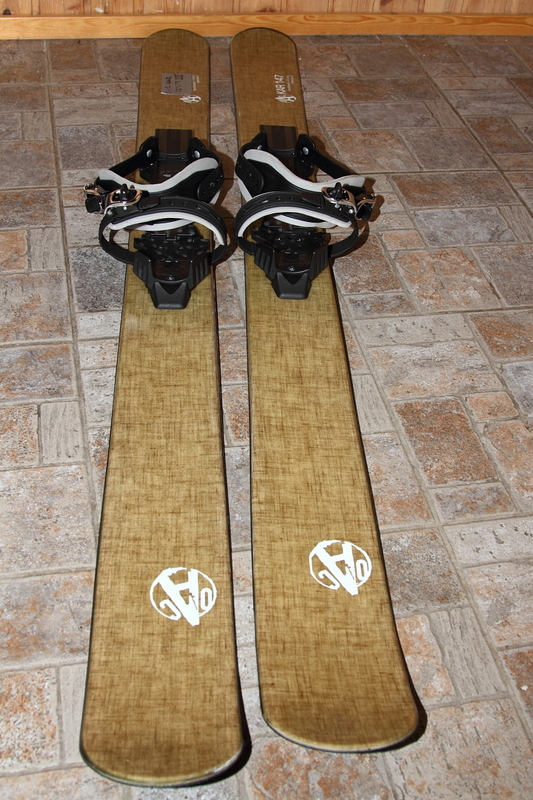 Only a week ago I wrote a short “Heads up” post about the new Altai Hok short skis, or fast shoes. (My initial impression about the original Hok 125s can be found from here.) 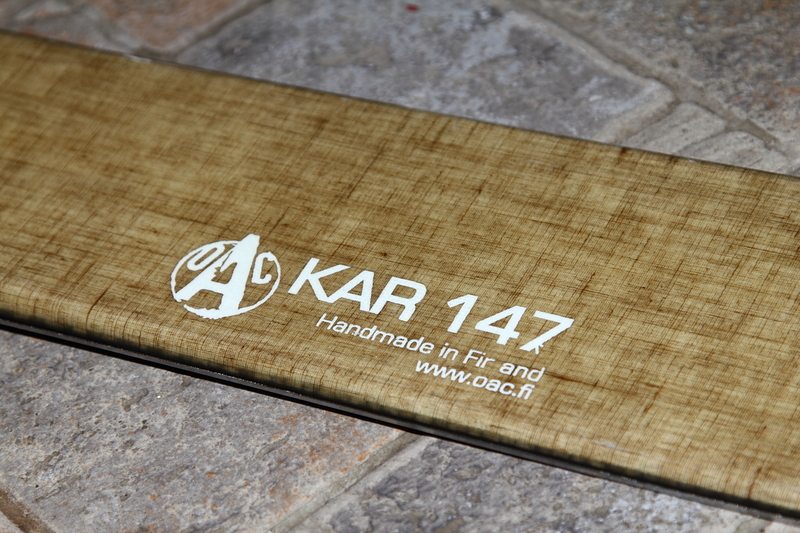 The last weekend I was at the annual meeting of the Arctic Club of Finland speaking about the Vatnajökull 2012 expedition but while there I also had a chance to get my hands on the new “Hoks” the Kar 147 and Tao CXD. 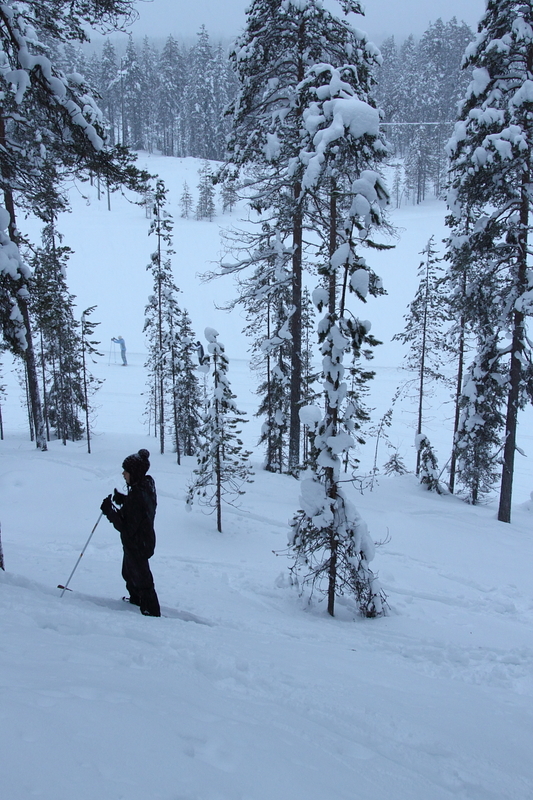 The new skis are designed and made in Finland. To my understanding the people importing the original Hoks to Finland were not happy with the original Hok 145 and also wanted something more downhill oriented and thus decided to design new models. Apparently the people behind the project knew what they were doing and the end products are very convincing. 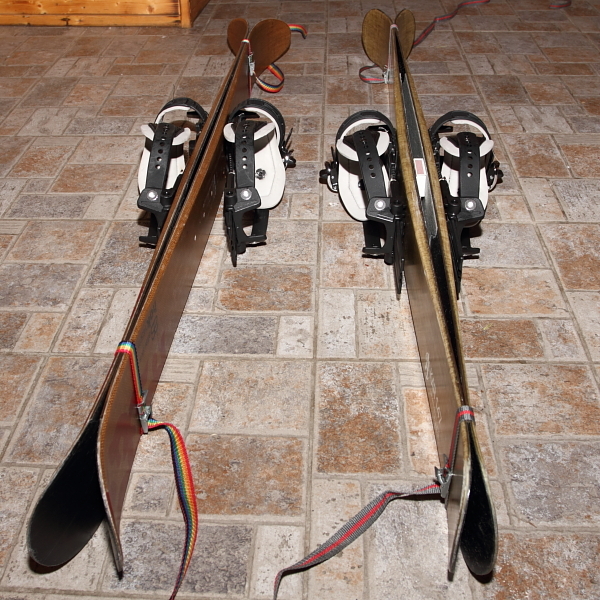 According to my sources the major problem with the original Hok 145 was the binding placement (there are fixed metal inserts the mount a 75mm tele binding or X-Trace Universal binding) with the binding located too close to the tip of the ski. In addition the tip was too stiff and there wasn’t much camber. 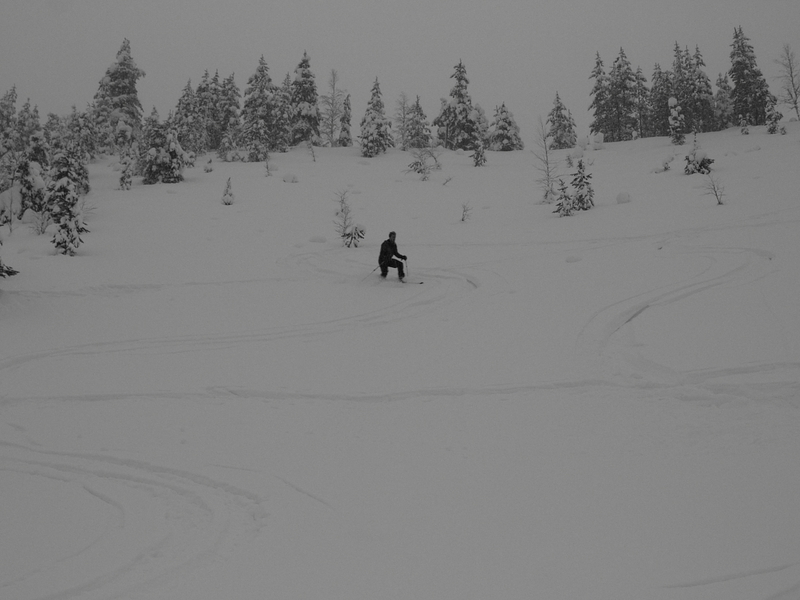 This caused problems especially for down hill skiing but the lack of camber had also an effect on the cross-country skiing performance (a lot of drag from the skin and a wide ski tracking poorly on hard surfaces). 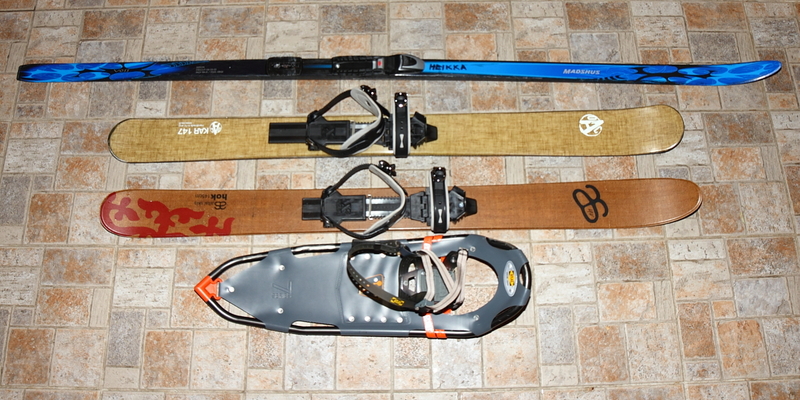 From the top: Tao XCD, KAr 147 and Hok 125. 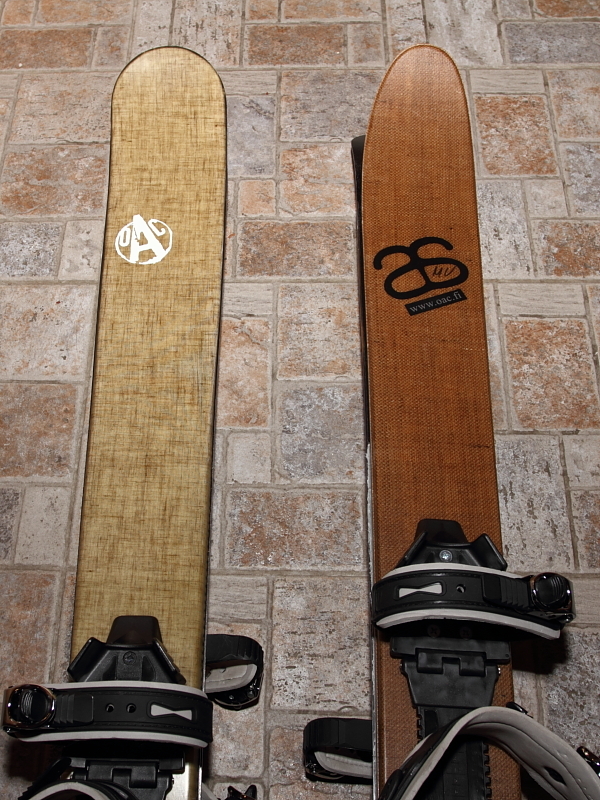 Base and ski inserts. 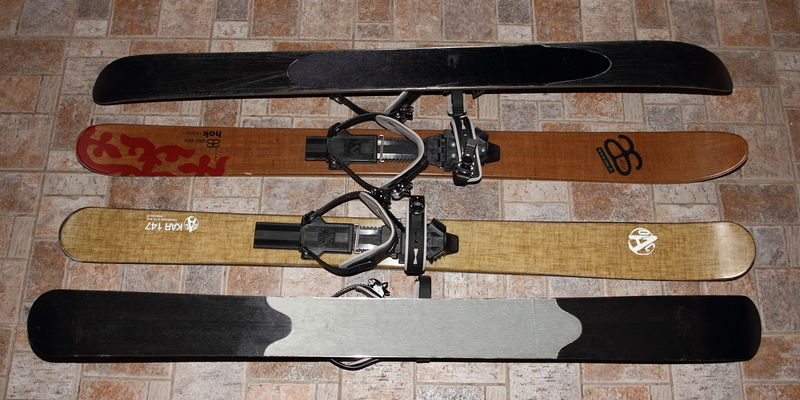 Gain from the top: Tao XCD, Kar 147 and Hok 125. 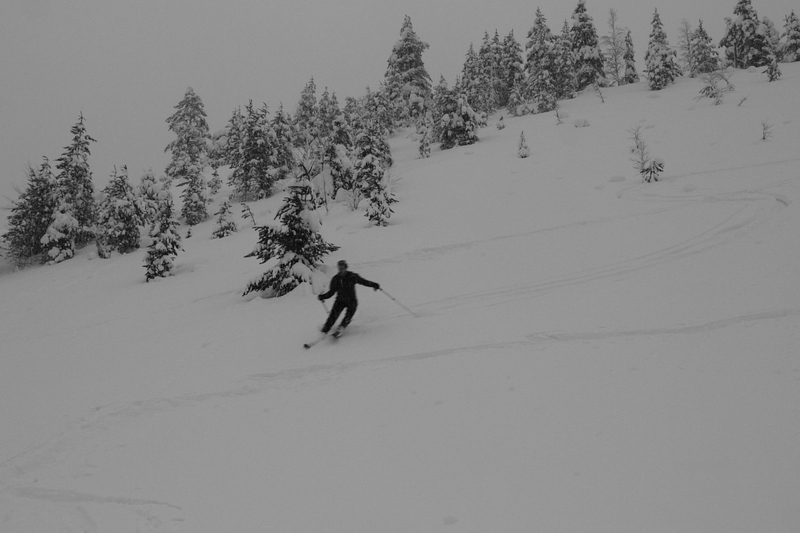 The Tao XCD ski is a more down-hill oriented ski with dimensions borrowed from an old Karhu model but at least the tip is completely redesigned and there is a Hok style permanent skin insert included. 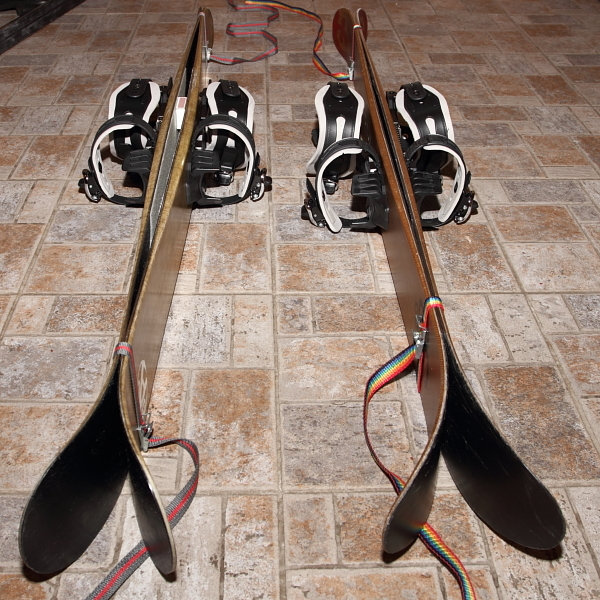 The skin insert in the Tao XCDs is a lot smaller than the one in Hoks (partially due the ski being thinner) but should still provide enough grip for most occasions and make skiing faster. Close-up of the skin inserts. 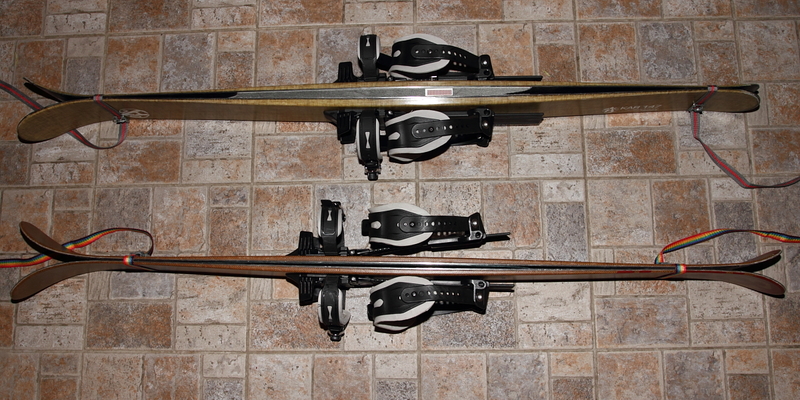 Tao XCD, Kar 147 and Hok 125. 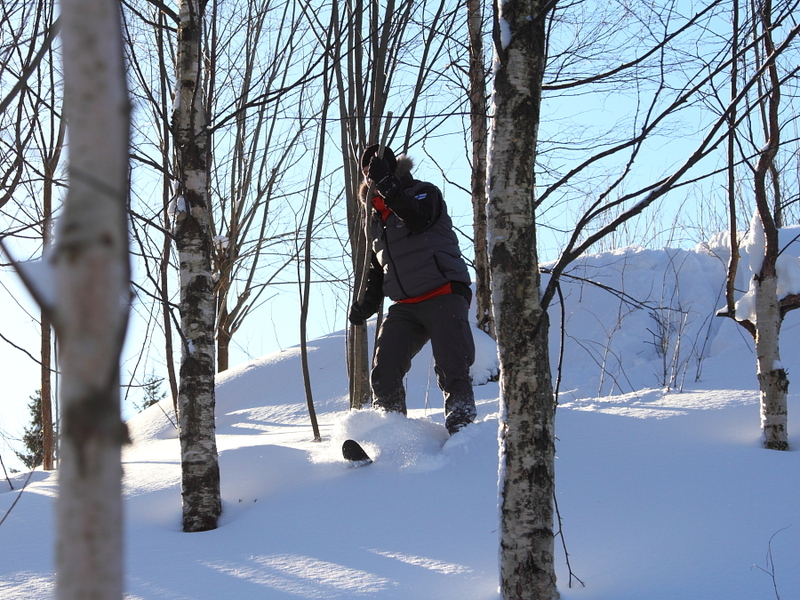 See the video below for the Tao XCD in use. 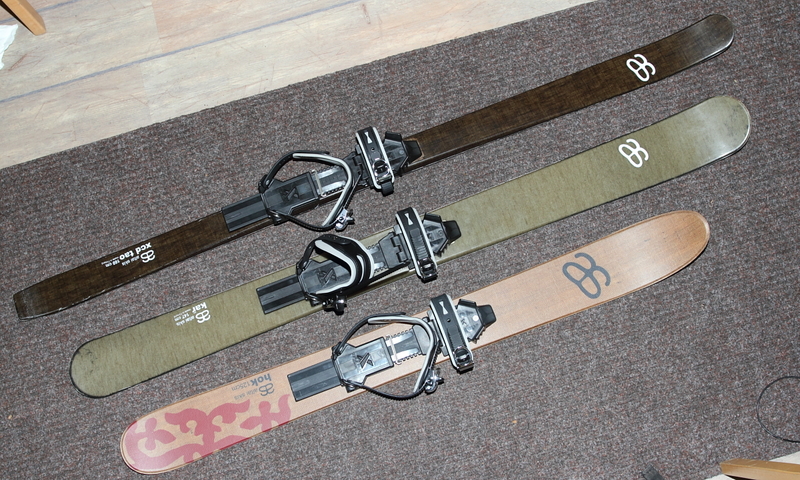 The X-Trace universal bindings have also been upgraded for this season and are now called the X-Trace PIVOT. 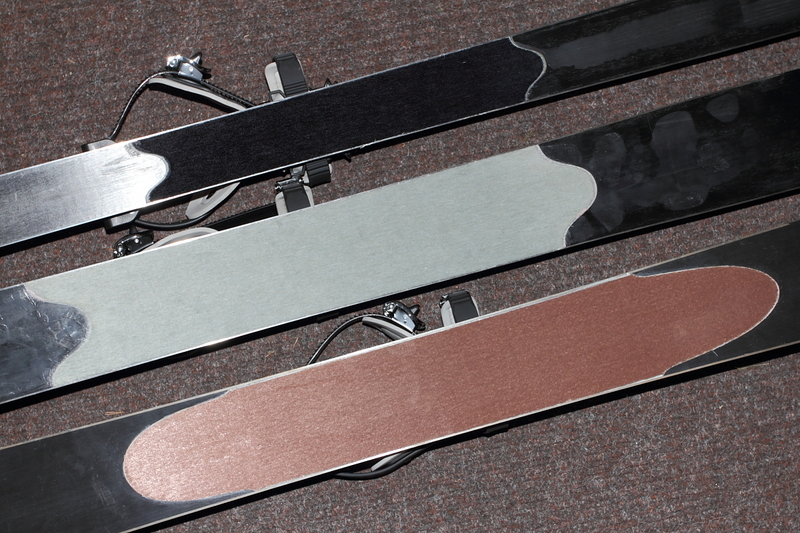 The new swiveled base plate, which I was testing last winter, makes skiing a lot better and is now a standard feature. 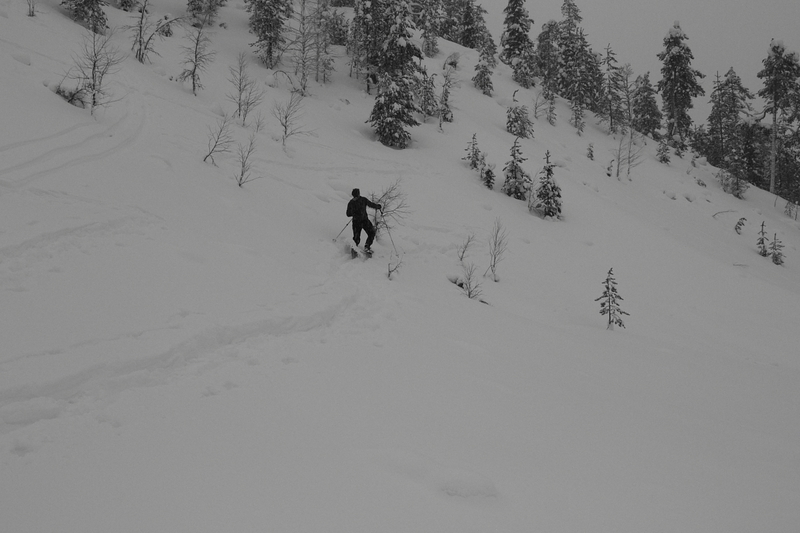 In addition the front and heel pieces are now a bit wider offering more control to the ski for down hill (or kiting) use. 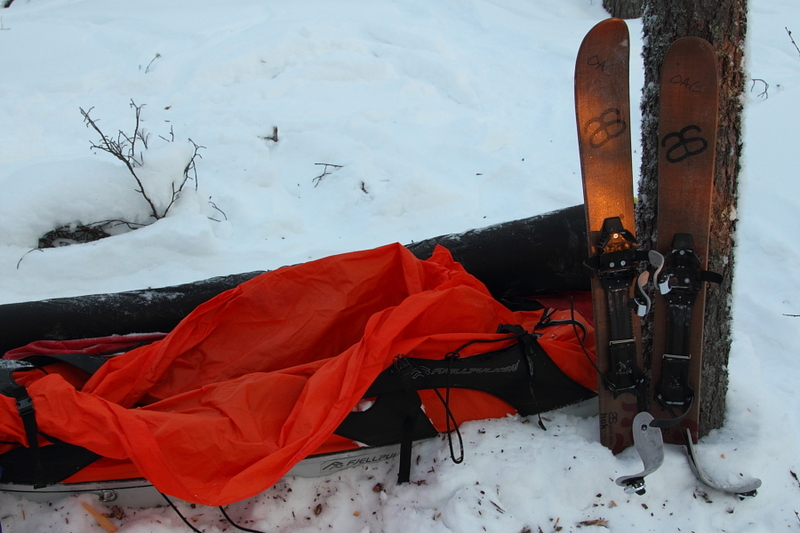 The front strap is also a bit longer in the new model thus making even bigger boots (think about Sorel Glacier boots for really cold winter trips) a better fit. I see the new X-Trace PIVOT binding to be quite a good option for many occasions. A good all-around compromise tool, just like the Hoks. The Arctic Club of Finland meeting was held at Pietarsaari in the Nanoq Arctic Museum which is an incredible place. Unfortunately my camera battery died so I don’t have photos of the museum but I can assure you that it’s worth visiting if you have any interest in Arctic and Antarctic regions, native cultures, expeditions and the like! 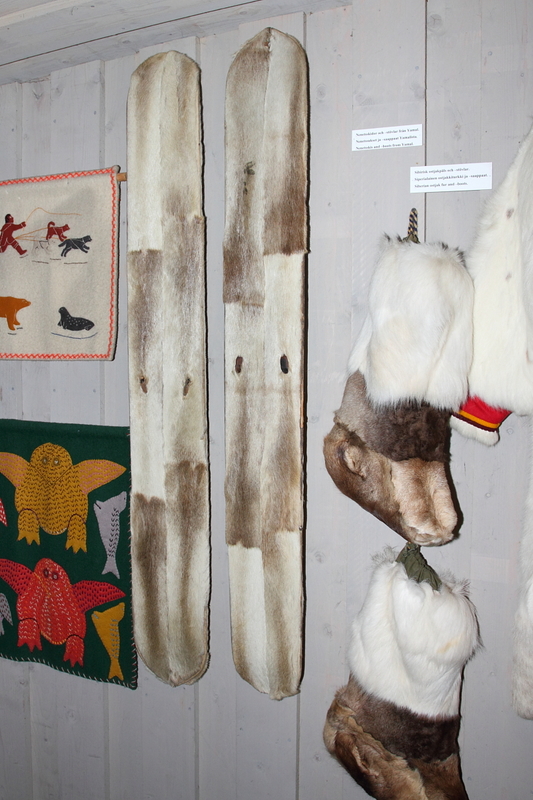 The museum is built on a relatively large property and it consists of several buildings respecting the original architecture of the Arctic areas and there is a huge amount of items from early days of the native cultures to present expeditions, good collection of literature and films and so on. Definitely worth a visit!